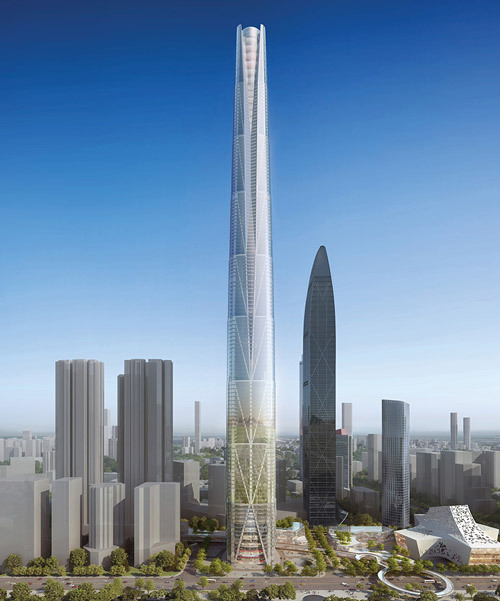 bKL architecture has unveiled its proposed design for a new tower located in shenzhen, china. 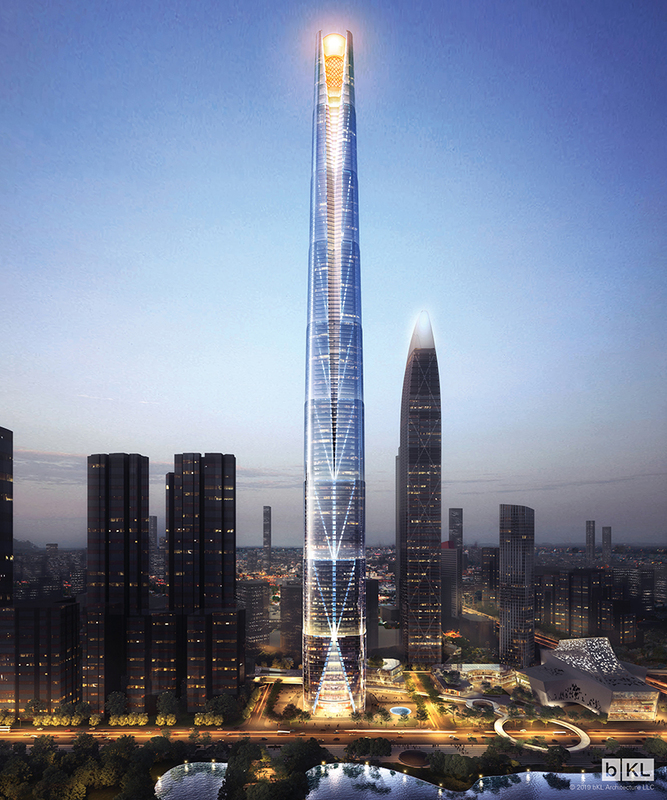 marking the gateway to the eastern expansion of the city, the tower, rising to 642 meters, serves as a technical and progressive expression to the emerging region. 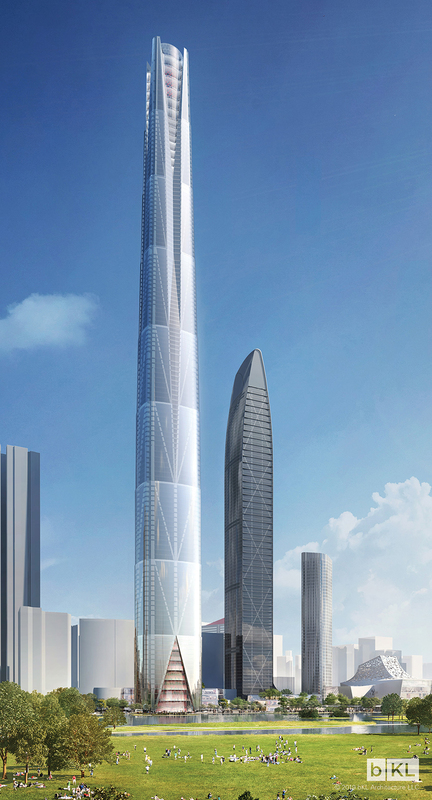 the full development includes commercial, civic, office, hotel, and residential program. 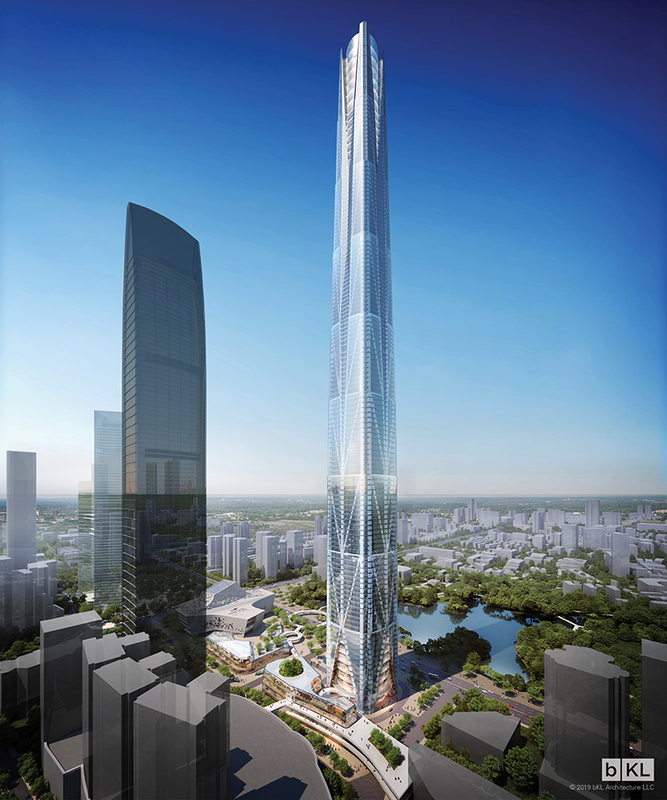 elegant, bold and strong, the tower stands as an icon within its context, evoking an interaction between people and nature. 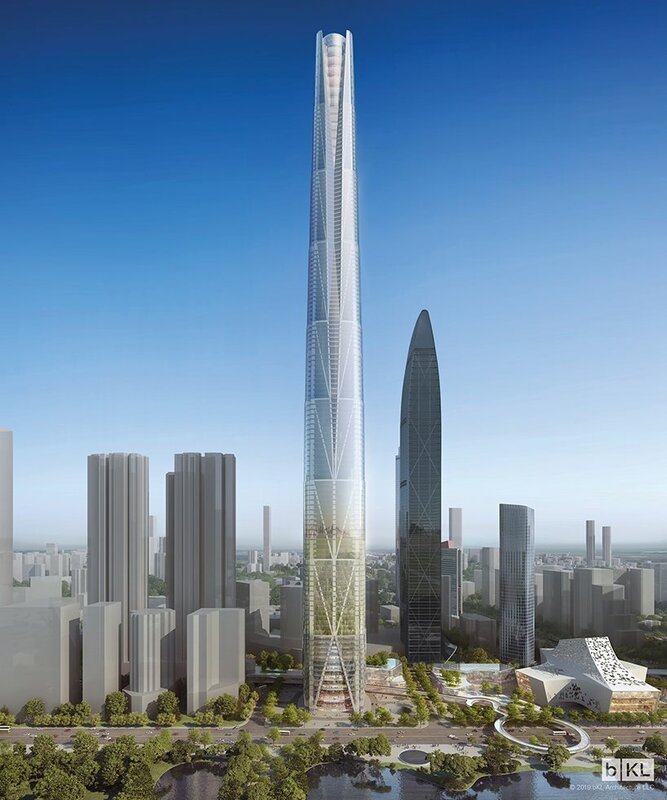 the form of the tower transforms in response to the building program, giving the structure its unique profile. as the building rises, the form gently steps back to offer areas of rainwater capture along the full façade of the building. the projected rainwater capture will replace the building’s annual estimated water usage. the scheme follows a previous design for the site, which was published on designboom here.